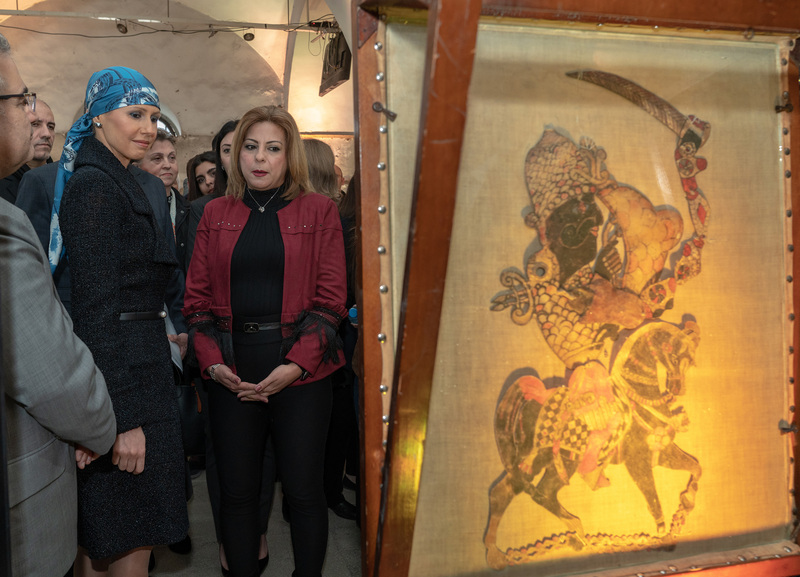 Attended by Mrs. Asma al-Assad, an event was held to celebrate the inclusion of shadow play as the first Syrian element in the List of Intangible Cultural Heritage in Need of Urgent Safeguarding. 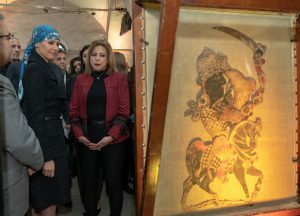 The event, dubbed “Shadows,” was held at Tekkiye Mosque complex, a historical site in Damascus, and is organized by the Syrian National Committee for the UNESCO and the Syria Trust for Development, in cooperation with the Ministry of Culture. The event focused on showcasing the rich and diverse Syrian intangible heritage, including shadow play (the traditional art of shadow puppets in Syria) which is the first of its elements to be included in the UNESCO lists, along with other elements that are nominated to be placed on those lists. Assistant Culture Minister Tawfik al-Imam stressed the importance of preserving Syria’s cultural heritage in light of the methodical war that is targeting Syria with the aim of destroying its civilization and culture. In turn, Secretary General of the Syria Trust for Development Faris Kallas talked about Syria’s tangible and intangible heritage, as well as the role of cultural, governmental, and non-governmental organizations in drawing international attention to Syrian heritage and reviving it. The event included artistic performances and screening of documentaries on Syrian intangible heritage, and it concluded with a press conference by Kallas and al-Imam, in which they talked about the steps for nominating elements of the Syrian tangible and intangible heritage to be included in world heritage lists. A total of 100 elements have been identified as part of the Syrian intangible cultural heritage.